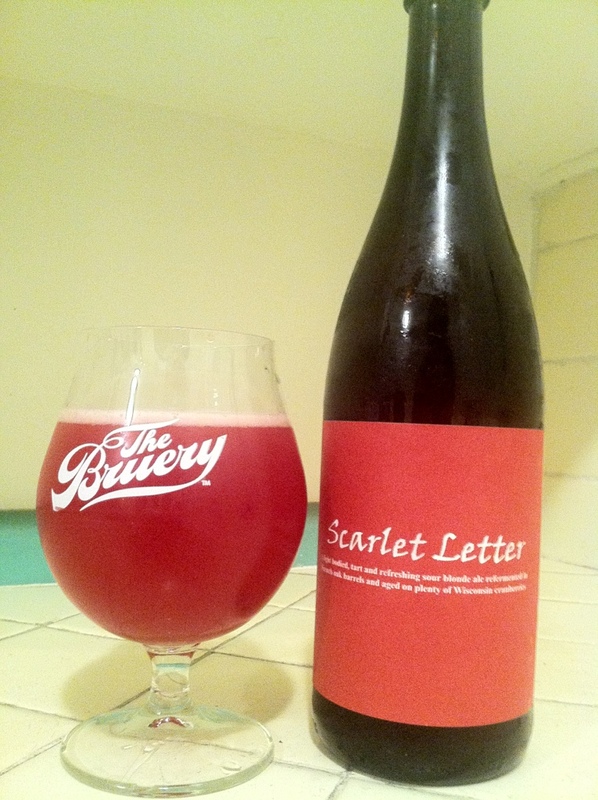 Oso/Funk Factory Scarlett Letter, pouring Levi Funk beers in a Bruery glass. Classic. Just look at them rosey times. Beautiful beer, frothy Lisa Frank binder magenta foam. A: very acidic nose, but more of a gentler lactic than Cascade, but bolder than traditional Belgian offerings. Ripe strawberry, light potpourri, balaton cherries and cranberry skins. Taste is slightly less than the multifaceted approach in the nose, but exceedingly refreshing. Tart but not overly acidic, intense cranberry that washes clean and dry with a bone thin Callista Flockhart body. Closer hits the gumline and delivers ripe berries, raspberry fruit snacks, and lingering acidity. The name of the game is crushability, this moves swift and goes down faster than a DG. Nothing goes down faster than a cranberry anchor.